The Hellfire Club were Tom Doyle (vocals/guitar), Joe Ussher (lead guitar/vocals/piano), John Doyle (bass), Paul McArdle and later Mark Downing (drums). Active from 1988-1990 the Dublin band released one single ‘Waiting (For Love To Appear)’ on Bloodred Records in 1990. They recorded a Fanning session in 1989 and the following is the only track of the four which can be tracked down. 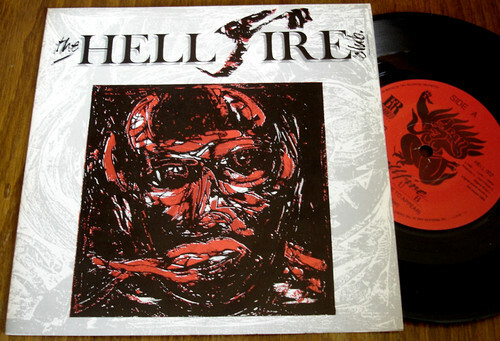 For more Hellfire Club action check out Joe Usher’s YouTube channel where you’ll find 1988 recordings of the band in McGonagles supporting The Fountainhead and Blue in Heaven. As always if you have the remaining Fanning session tracks or indeed any irish radio recordings from the late 80s/early 90s we’d love to hear from you. This entry was posted on September 28, 2012 at 11:21 pm and is filed under Fanning, session with tags dublin, the hellfire club. You can follow any responses to this entry through the RSS 2.0 feed. You can leave a response, or trackback from your own site.